Like most creeks in southern South Carolina and Georgia, Toogoodoo is marsh-lined which offers minimal wind protection. Reviews promised a creek wide enough to accommodate swing room, minimal pot floats and if you went up it 2 ½ miles… voila! Tree protection. And that we did. Alone in our creek, exactly as described we settled in and watched another pretty sunset. My view out the galley window at sunset. Although we heard the wind at night, we didn’t quite get the true picture until the trees stopped protecting us and wow- 22kts! From the north so it wasn’t too bad and with much of the trip to Beaufort, SC near high tide we had no depth worries through all the cuts that have become badly shoaled. Perhaps a jump outside is in order. 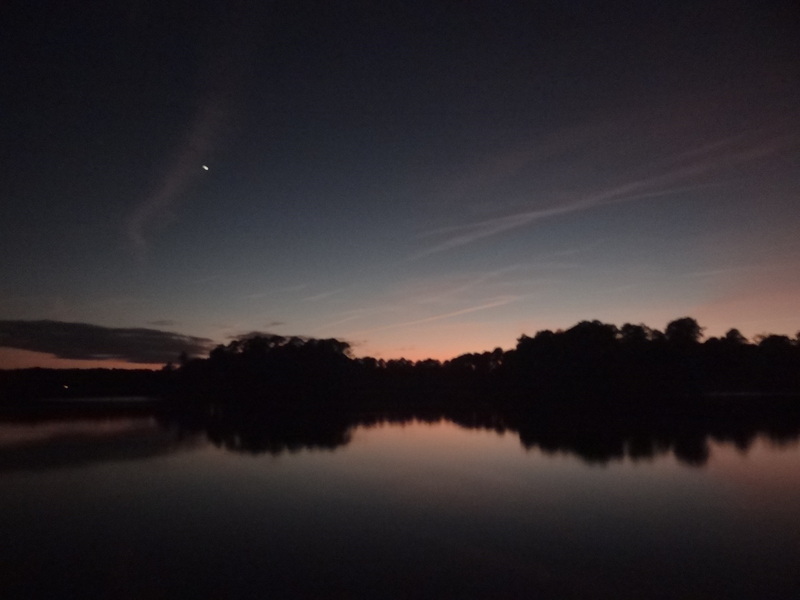 This entry was posted in Uncategorized and tagged Creeks, sunset, weather. Bookmark the permalink. ← Charleston- we still love it!